A new grocery store has opened its doors in Pleasanton at Pacific Pearl shopping center. Located at 2701 Stoneridge Drive, the new arrival is called 99 Ranch Market. 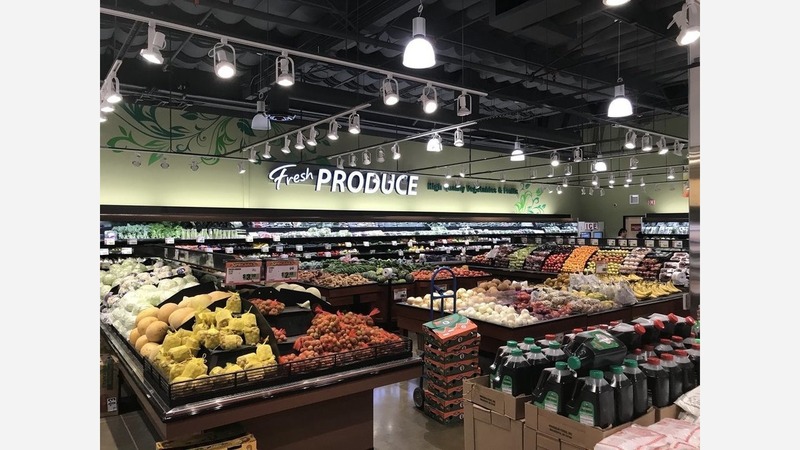 This chain offers fresh produce, non-perishable items, meat, frozen goods, fresh seafood, bread, and prepared hot meals like Hong Kong-style barbecue and pork buns. The establishment features buffet items plus fresh pastries and desserts from its bakery. With a 3.5-star rating out of nine reviews on Yelp so far, the fresh addition has made a promising start. "Brand new Ranch 99 market in the Pacific Pearl shopping center," Yelper Wolfgang T. wrote. "Parking on a Saturday around noon was not a problem. The store is clean and well organized, and seems larger than the one on Rosewood." Yelper Raymond L. added, "I think I like this store more than the location in Dublin. The vegetables are fresh and the fish tanks are very clean. The people buy food here with confidence and consume with satisfaction." 99 Ranch Market is open from 9 a.m.-9 p.m. daily.